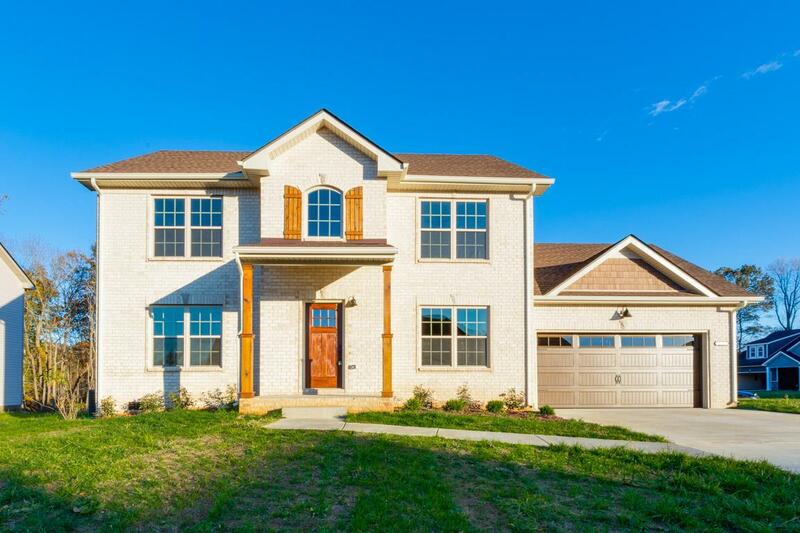 Colonial Style home with covered front porch Custom Wood Kitchen Cabinets w/ granite -7ft bar w/ sink and prep area, bay window in dining. Master with trey ceiling, WIC, Master Bath with sep tile shower and dbl vanities. 2 car garage & all brick front. Photos are of actual home, nearing completion.